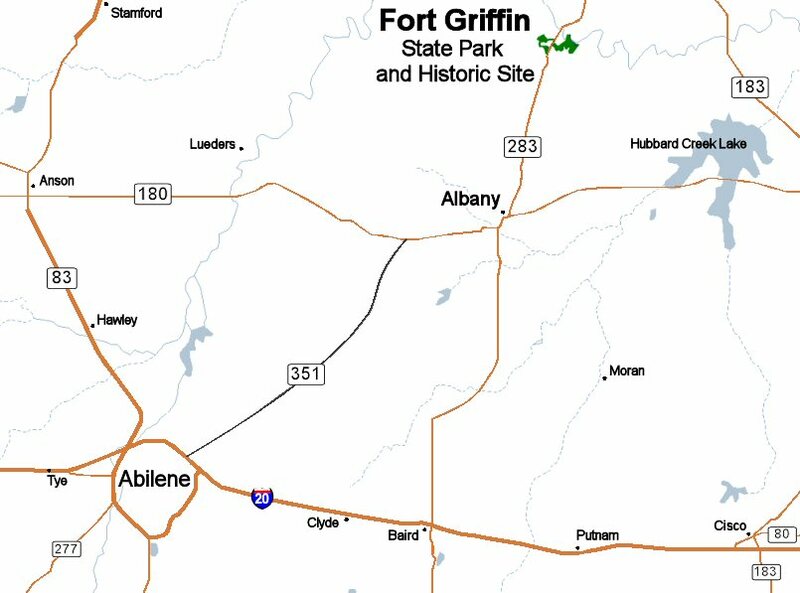 Fort Griffin State Historical Park is located in NE Shackleford County. To reach the park from Abilene, travel east on Hwy. 351 for about 30 miles; 351 merges into Hwy. 180/6 before you get to Albany. Take a left turn in town on Hwy. 283, go through town and watch for Hwy. 283 as it makes a left (north) turn toward the park. Go north on it for about 15 miles.The park is located to the west and east of Hwy. 283. 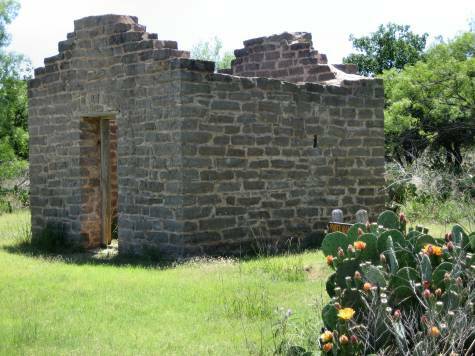 To the west is the headquarters, ruins, and grasslands, and to the east is the riparian habitat next to the Clear Fork of the Brazos River. 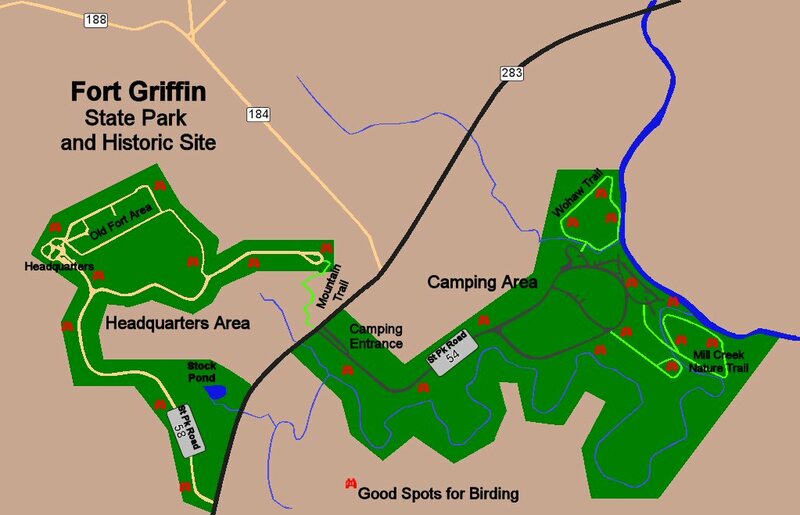 If you get to the park before headquarters open at 8 a.m., bird the riparian area first. More of the eastern birds of the Big Country can be found there such as Red-bellied Woodpecker, Eastern Bluebird, Lazuli Bunting, Painted Bunting, Indigo Bunting, Red-shouldered Hawk, and Barred Owl. In spring Blue Grosbeaks, warblers and vireos can be found in the large trees around the RV and tent campsites. Be sure and walk the Mill Creek Trail; it winds through mature trees down to the river. Wohaw Trail is another excellent trail for birding. Be sure and bring your sunscreen, bugspray and water in the proper season.